As with many people who settle in Hawaii, the ocean brought Sharon to the Big Island. Her love of the sea began at the age of 9 on vacation with her family in Waikiki, but it wasn’t until 2004 that Sharon purchased a condo on Maui. With the decision to live full-time in Hawaii came the desire to go on a one-year adventure over to the Big Island. That one year has turned into 9 years now. She cannot think of anywhere else she would rather live. When she first came to Kona, Sharon immediately got involved with the athletic scene and completed in 2 Lava Man triathlons. She actively swims in the ocean 3 or more times a week. Sharon has more than 10 years’ experience in Real Estate, first in Berkeley and Oakland, California, and the last five years on the Big Island. 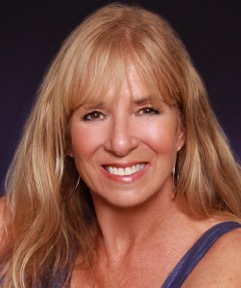 Sharon’s Real Estate career has brought her to Premier Island Properties, with her wonderful past and present clients. She and two of her clients were selected to appear on the television series, Beach Front Bargain Hunt, on HGTV, in the only segment filmed in Kona last year. Sharon has extensive experience selling in the condo and residential markets in Kona and In the Mauna Lani and Waikoloa resorts. She recently studied and received her Certified International Property Specialist (CIPS) designation to better prepare her to work with foreign clients who wish to own property in Hawaii. Sharon’s career goes hand in hand with her Master’s Degree in Hospitality Interior Design. Sharon can stage homes for her sellers, and help her buyers envision how to make their new space their own. Real Estate and Interior Design is a marriage made in heaven, or paradise. Sharon’s sincerity, diligence, loyalty, and honesty has earned her the respect and gratitude of her clients. She loves finding just the right property to make her clients’ dreams come true.